Nick is delighted to announce the dates for two SONGBOOK shows this July. 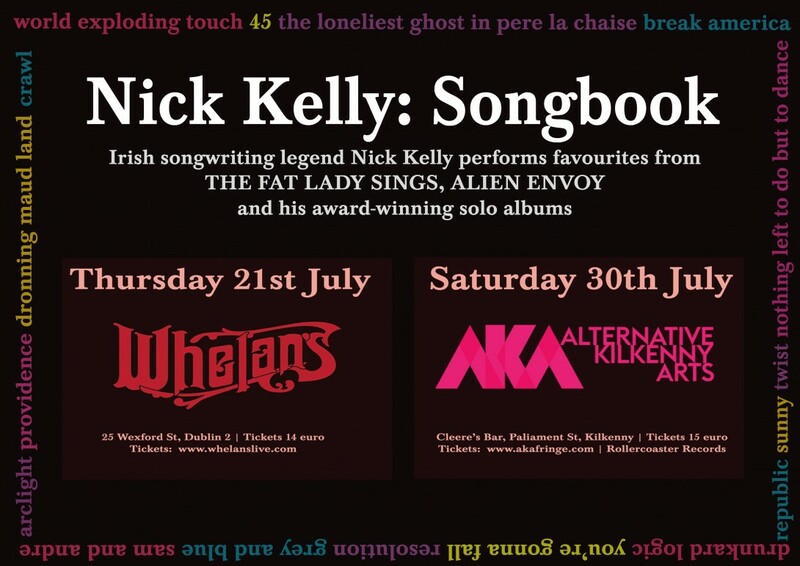 On 21st of July, Nick will play Whelans, Dublin and on Saturday 30th July he will be playing Cleere’s, Kilkenny as part of the AKA Fringe Festival. These shows are a rare opportunity to have one of Ireland’s greatest songwriters take you on a whistle-stop tour of his stellar back pages.